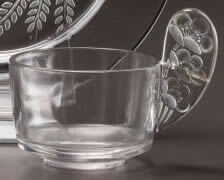 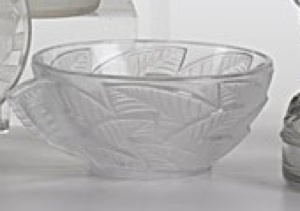 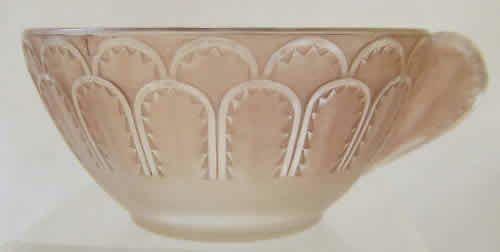 R. Lalique Cups: Rene Lalique et Cie did not make many cups as you can see from this page. 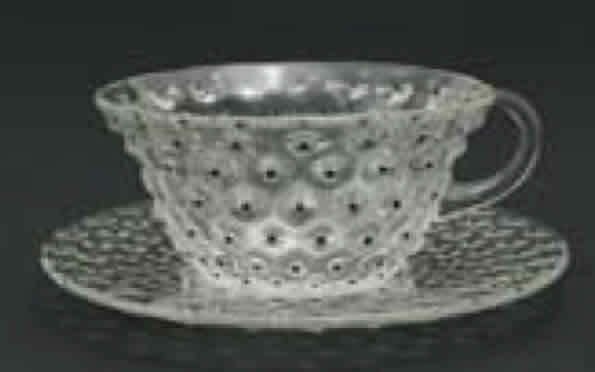 Today they are called everything from coffee and tea cups to punch cups. 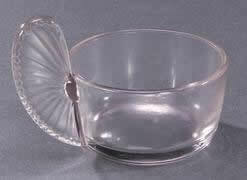 They are also referred to as ice cream cups, for which the French name is Tasse a Glace. 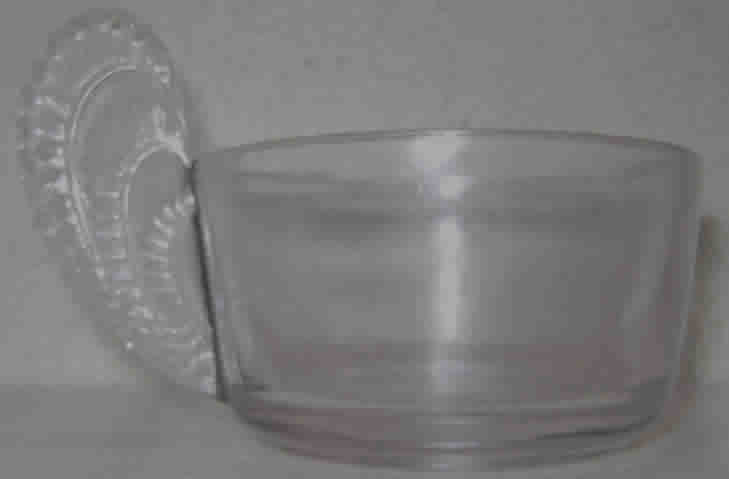 Note: If you don't see your cup here, check Glasses.